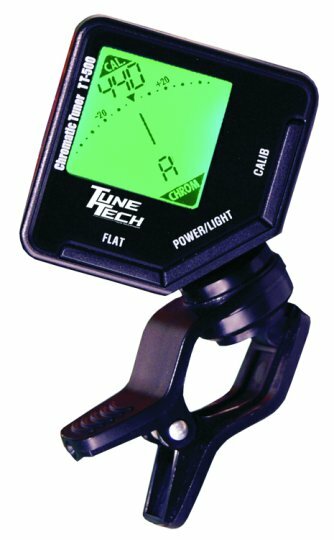 The Tune Tech TT-500 Clip-on Chromatic Tuner features an updated sensor which virtually eliminates unwanted interference and makes background noise a thing of the past. The TT-500 also boasts the most steady and accurate needle, and brightest backlit LCD.  Most bright, crisp, and E-Z to read screen  Easily attaches to any instrument.